Arabia & Iittala There are 180 products. 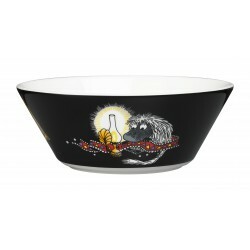 This new black Moomin bowl by Arabia features the Ancestor. It's beautifully illustrated by Arabia artist Tove Slotte and the illustrations can be seen in the original book "Moominland Midwinter" by Tove Jansson. 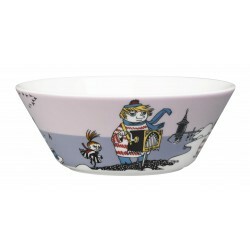 This new violet version of Too-ticky Moomin bowl was released in 2016 by the Finnish Arabia. The bowls is beautifully illustrated by Arabia artist Tove Slotte and the illustrations can be seen in the original book "Moominland Midwinter" by Tove Jansson. The brave and fearless Little My features these new red coloured plate by Arabia. The design is from the Conscientious Moomin in comic album #4. 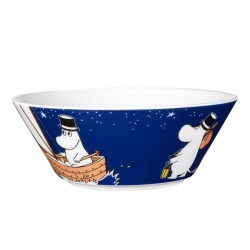 The new version of the Moominpappa bowl released in 2014 features illustrations by Tove Slotte, it shows the adventurous Moominpappa sailing. The dark blue bowl goes well together with everything. 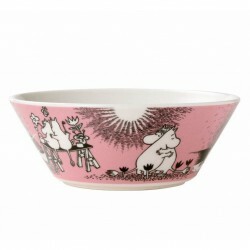 Lovely pink Moomin bowl featuring Snorkmaiden and Moomintroll hugging. It’s beautifully illustrated by Tove Slotte, the illustrations can be found in the second and third Moomin comic books. 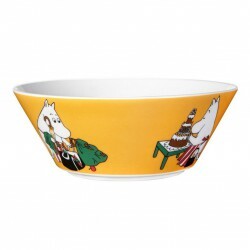 The new apricot color Moominmamma bowl features illustrations by Tove Slotte and it shows Moominmamma arranging for a party. The lovely color goes well together with everything. 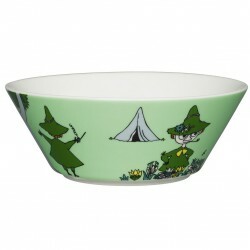 Carefree and philosophical Snufkin features this green coloured Moomin bowl by Arabia. The design is from the Moomin and the Brigands in comic album #1 by Tove Jansson. 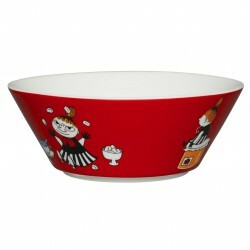 Bowl is beautifully illustrated by artist Tove Slotte. 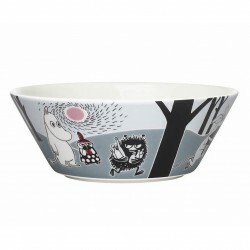 The Adventure Move bowl by Arabia from 2013 features a famous motive from ”Moomintroll and the comet”. It’s designed by Tove Slotte. This lovely bowl will certainly delight both young and old at the dinner table. 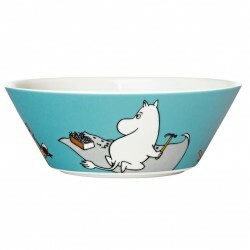 This new turquoise Moomin bowl from 2013 by the Finnish Arabia features Moomintroll building and looking at house building instructions. It’s skillfully illustrated by Tove Slotte. 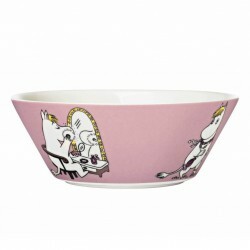 This new pink Moomin bowl by Arabia from 2013 features Snorkmaiden dressing up and making herself pretty. It’s wonderfully illustrated by Arabia artis Tove Slotte. 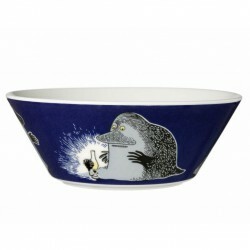 A dark blue Moomin bowl by Arabia features the Groke looking at a night light. It’s wonderfully illustrated by Tove Slotte and the illustration can be seen in the original book ”Moominland Midwinter” by Tove Jansson. 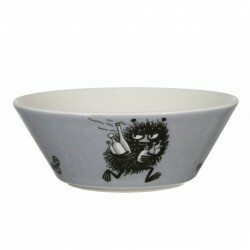 Grey Moomin bowl by Arabia featuring Stinky running with bottles. It’s wonderfully illustrated by Tove Slotte-Elevant and the illustration can be seen in the fourth original Moomin comic book.